One of the things I loved the most about Penguin was their ability to come up with various series designed along a certain theme. Their Penguin Ink series, for instance, is one I was obsessed with for a while, and they do all sorts of fantastic typographical series covers, too. I’m glad to know that now that they’ve merged with Random House, they’re holding on to that lovely design sensibility and continuing with various series. Recently, they’ve come up with a new children’s classic series called G&D Vintage, for children’s books published under the Grosset & Dunlap imprint (currently) as Wonder Books in the 1940s, 50s, and 60s. With 11 titles out currently, I’m looking forward to seeing what else will be added to this lineup in the spring! 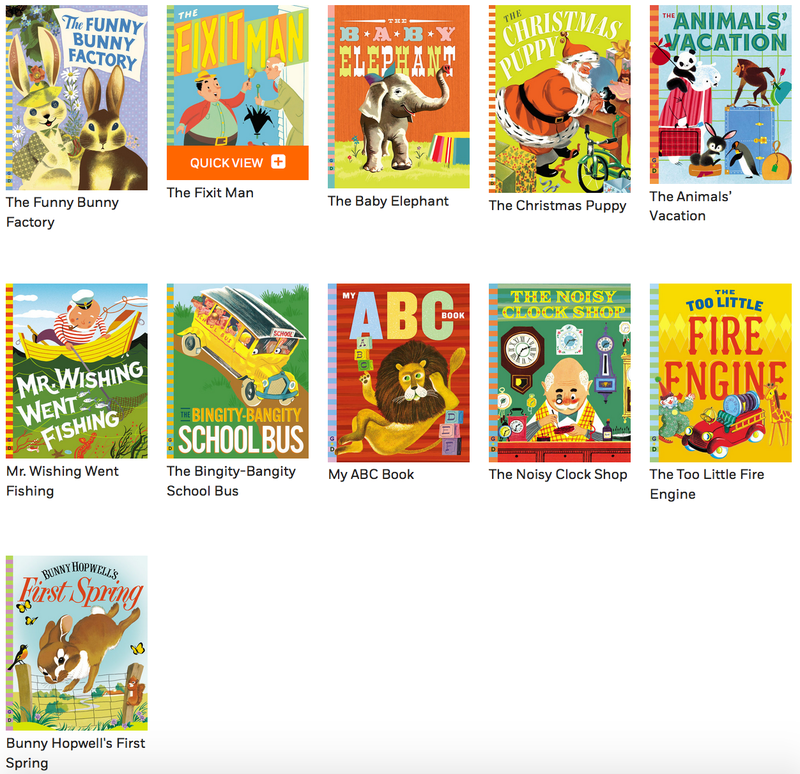 Posted on November 10, 2015 October 28, 2015 by WildlyLivedPosted in Genre: children's books, Genre: picture books, Publisher: Penguin Random HouseTagged book, book recommendations, books, G&D Vintage, Genre: children's books, Genre: picture books, read, reading, wonder books.